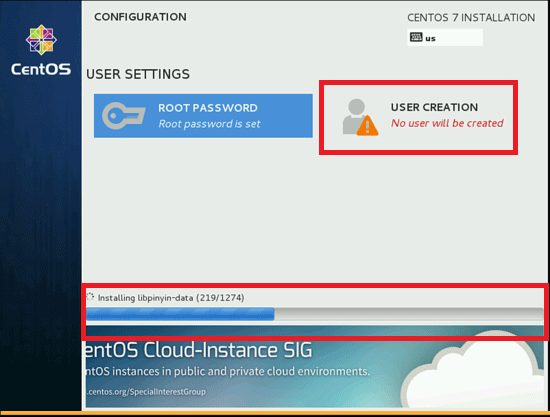 Home » Data Science » Blog » How to Install » How to Install CentOS? 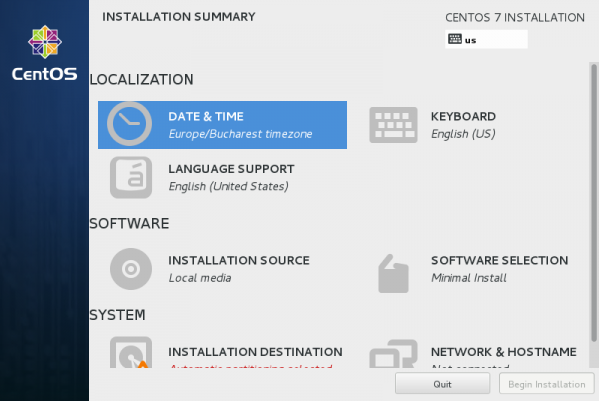 CentOS (Community Enterprise Operating System) is a distribution of Linux derived from the Red Hat Enterprise Linux (RHEL) released in March 2004. 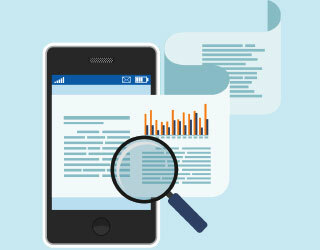 It is no cost and free to distribute, hence popular among users, web hosts and small businesses. 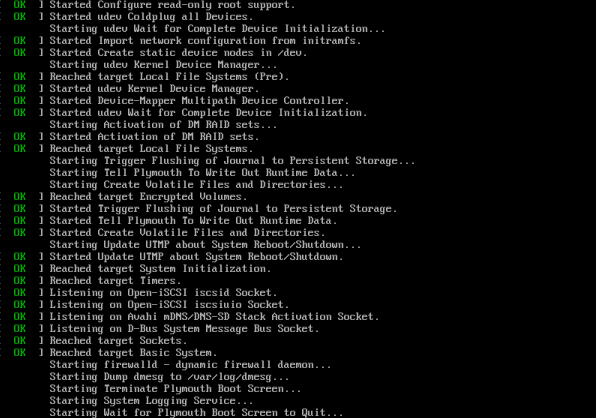 It was initially originated as a build artifact of CAOS Linux. It became the most popular Linux distribution in July 2010 with almost 30% of all servers using it, but Debian overtook it in January 2012. 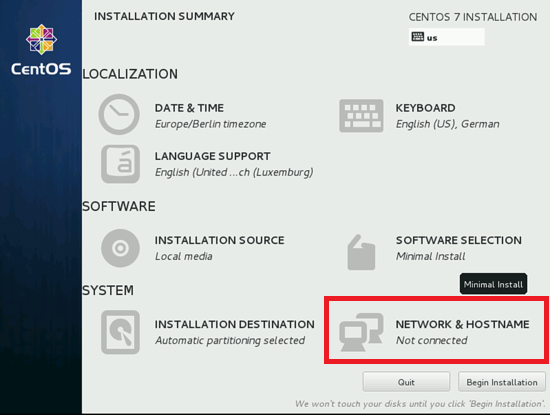 Red Hat announced to sponsor the CentOS in January 2014 due to which the ownership of CentOS trademarks was granted to Red Hat. 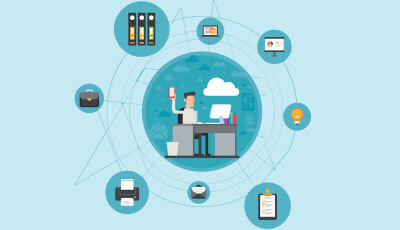 A final product very much similar to RHEL was developed by CentOS developers using Red Hat’s source code aiming the functional compatibility of RHEL. A team called ‘Governing Board’ containing Red Hat employees and developers of CentOS was established for the further development of the distribution and to support the various workgroups. 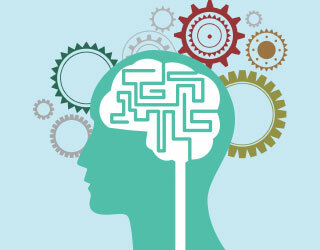 CentOS is evolving constantly hence provide the platform for the latest software. New developments are done by keeping in mind the stability of already active components. 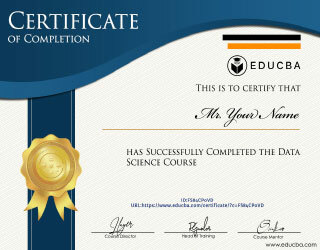 It is very useful and efficient for the virtualization of operating systems. 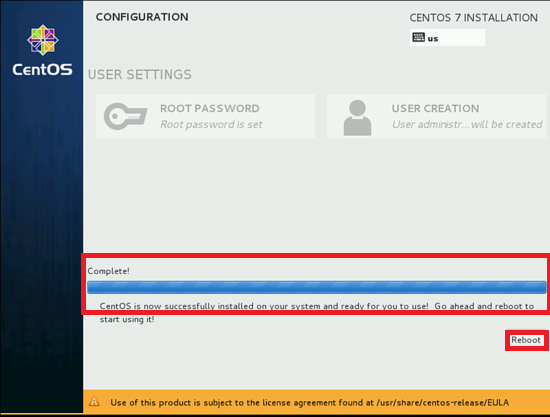 There are many versions of CentOS released. Version 3 was supported for 6 years, 4 was supported for 7 years while 5, 6 and 7 will be maintained for 10 years. There are different architectures supports in different versions like i386 systems is supported in versions 4, 5, 6 and 7. 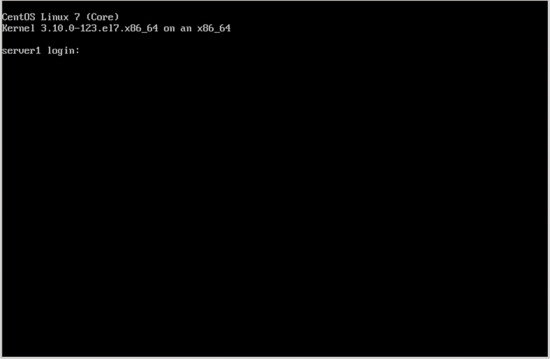 Architecture ia64, ppc, SPARC, Alpha and s390 are supported only in version 4. Armhfp and aarch64 are supported in version 7 of CentOS. Select which image is suitable for your system or according to your need. Simply transfer the iso file to USB using dd command or you can use Win32DiskImager or Etcher. Ensure that you have at least 4.3 GB of free space in your USB. 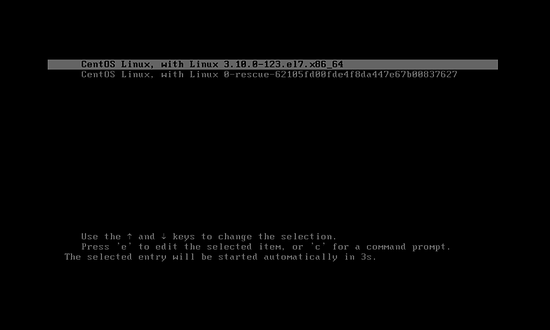 Place the created USB into the appropriate drive, start your computer, select the bootable unit and a window shown below will appear. 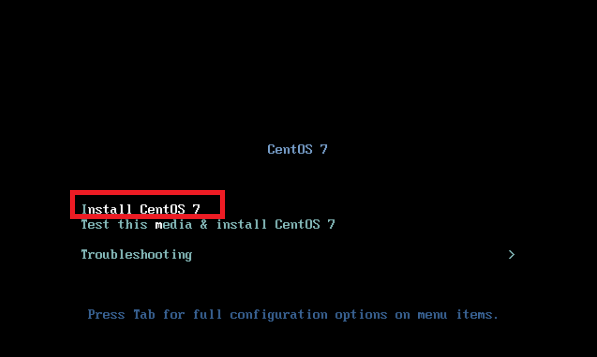 Select “Install CentOS 7” and press Enter Key. The system would start loading media installer. 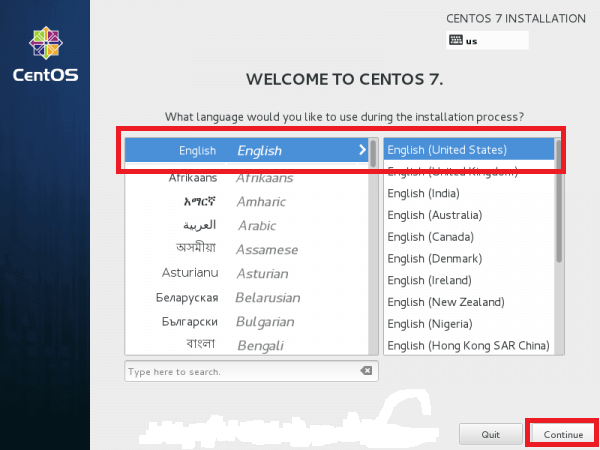 Select the language appropriately to use during installation and press Continue. Installation summary window will appear with lots of options present. Change settings one by one according to your needs. Click on DATE & TIME and change the place in the map and click on Done. 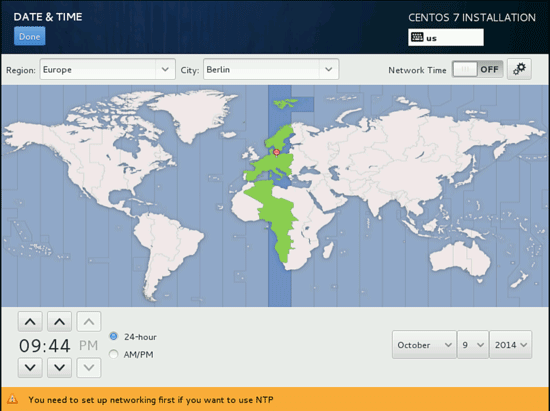 A map will appear and select your time zone. Now change the Keyboard settings by clicking the KEYBOARD. A window will appear. Choose a language and click on + icon to add more keyboard layout. Installation Source will be Auto-detected installation media. If you have any other source of installation then you can put the path accordingly. 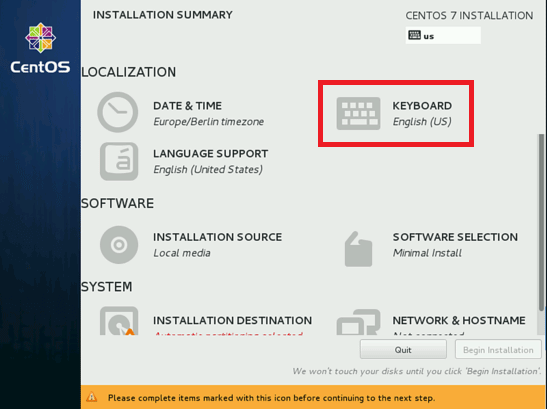 Now change the “Installation Destination” and you can also do manual partitioning. For manual portioning click on “I will configure partitioning”. 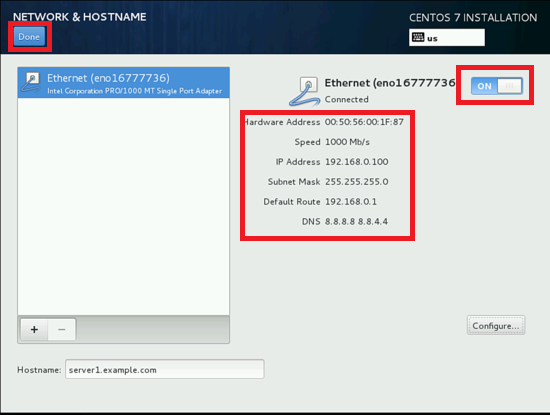 Now you can customize NETWORK & HOSTNAME settings. 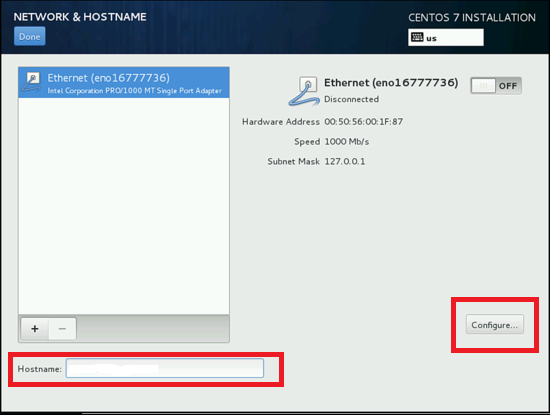 Add the hostname and then click on Configure to customize the Ethernet part. Now the window will appear. 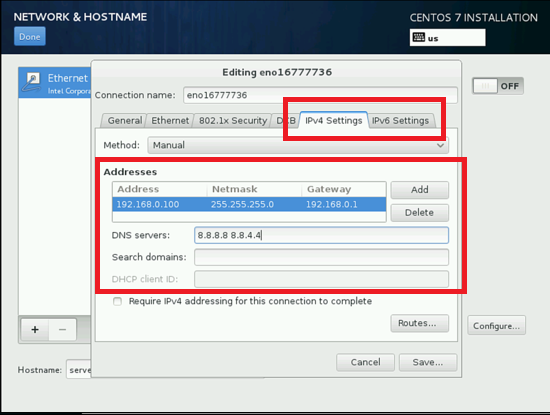 You can add IPv4 and IPv6 settings as required. Now make the connection ON. All the details of the connection would be shown. After it clicks on Done. 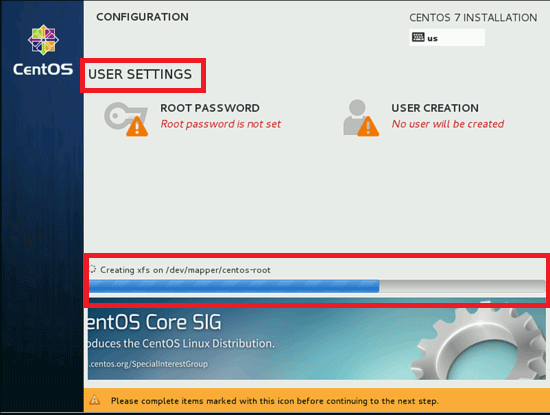 Now we can begin to install Centos by clicking on the “Begin Installation” button. 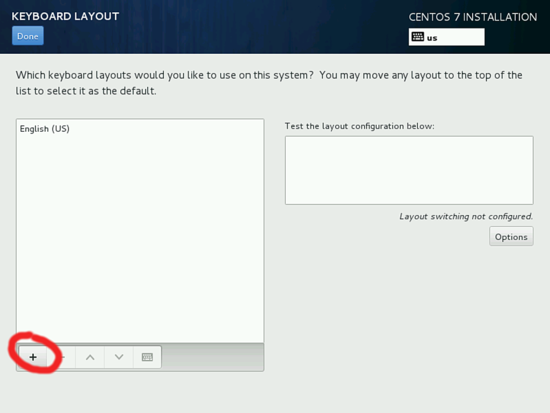 The process to install Centos will start. Now we need to provide USER SETTINGS. First, let us set the root password. Click on ROOT PASSWORD. A window will appear. 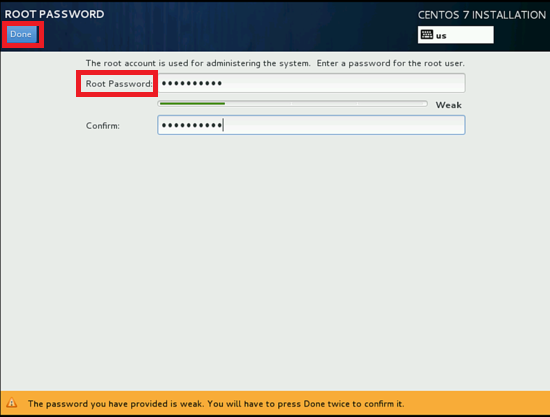 Set the root password of your choice and click Done. Now we will create a user. 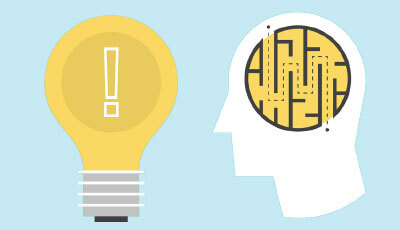 Click on “USER CREATION” and create a USER by filling the required details and then press Done. Now, wait for some time. 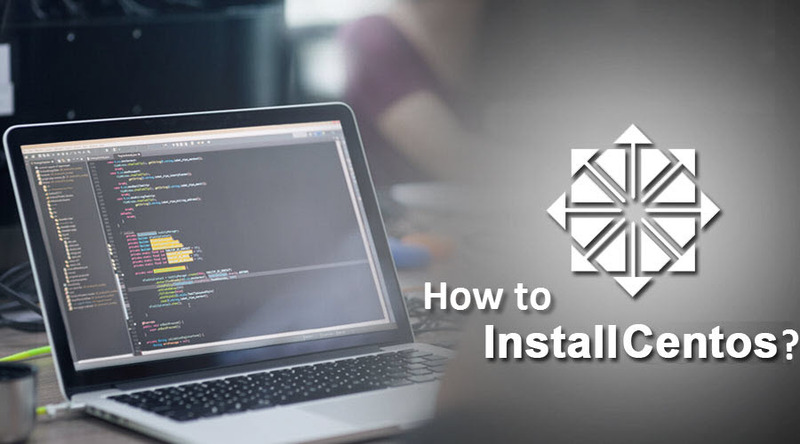 After completion of your installation, it will ask for Rebooting your system so click the Reboot button. After rebooting your login screen will open. 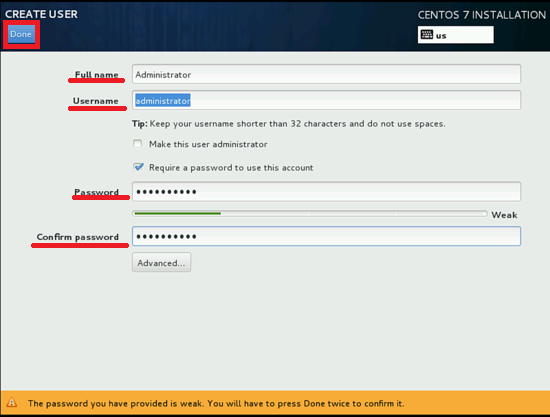 Enter your user login details. 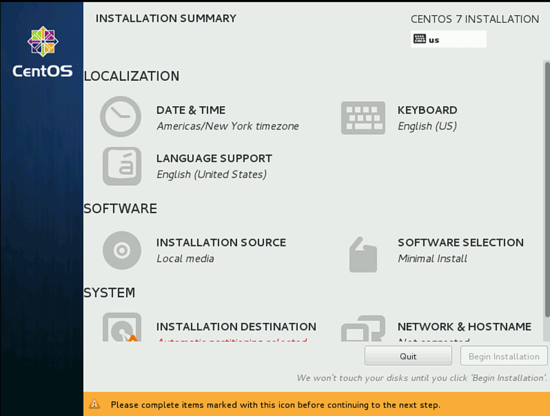 Now your CentOS 7 has been successfully installed on your system. 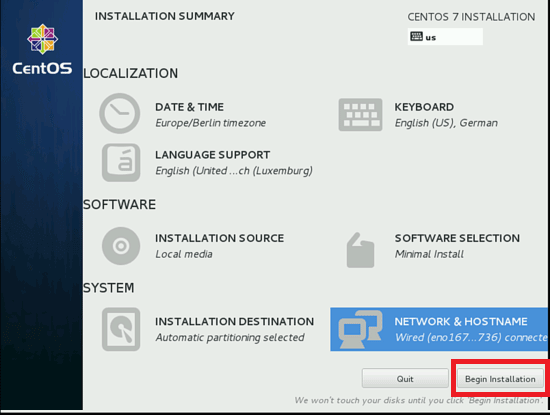 Now install requires software to do your other tasks and start using your CentOS distribution of Linux.